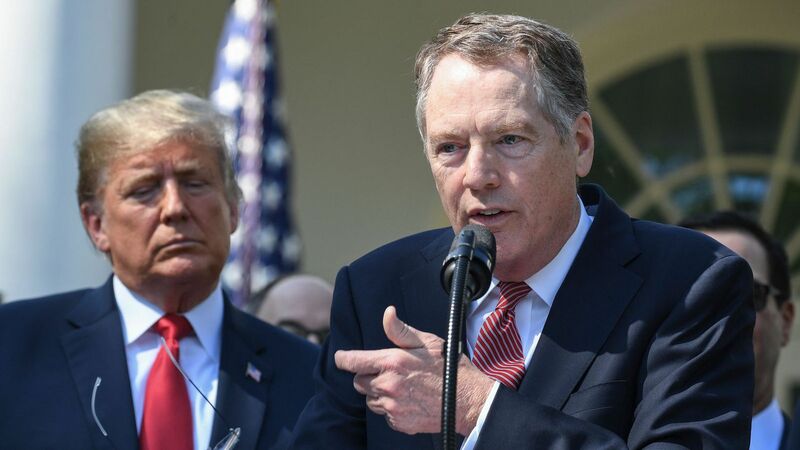 U.S. Trade Representative Robert Lighthizer on Monday threatened the EU with $11 billion in trade tariffs — targeting products including large commercial aircraft and some wines and cheese — in response to European subsidies for Boeing's rival Airbus. The other side: A European Commission spokesperson said Tuesday it was "starting preparations so that the EU can promptly take action based on the arbitrator’s decision on retaliation rights in this case." Details: Lighthizer said the World Trade Organization found the subsidies repeatedly caused adverse effects to the U.S. and the case had been in litigation for 14 years. "Our ultimate goal is to reach an agreement with the EU to end all WTO-inconsistent subsidies to large civil aircraft," he said. "When the EU ends these harmful subsidies, the additional U.S. duties imposed in response can be lifted."